Sometimes you need to let a friend know that you are praying for them. Even better, say it with a fun hot air balloon shaker card! From the new Jillibean Soup Shaker Card system here is an encouraging card. First I pulled out the small circle card base and stamped in light blue ink the clouds. Then using red ink I stamped the balloon circle, basket and sentiment. 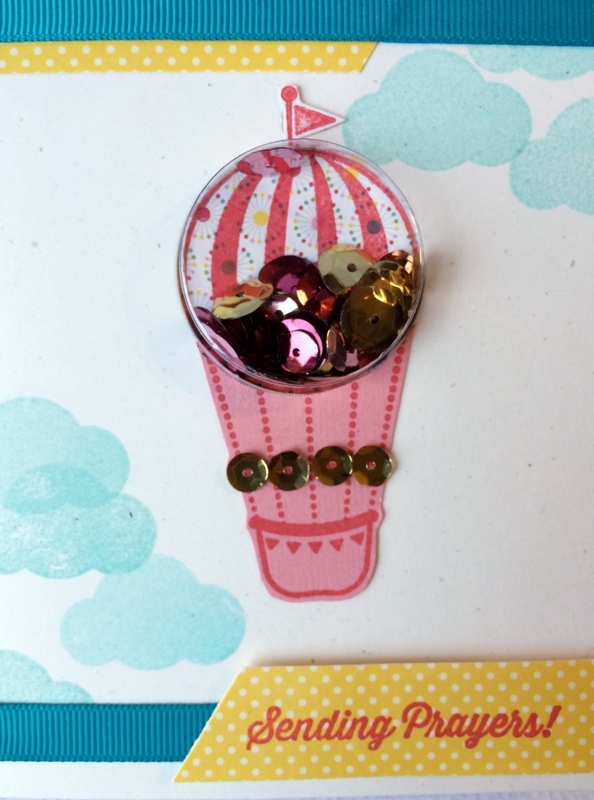 The basket was stamped onto pink cardstock and the circle onto some patterned paper for extra color. 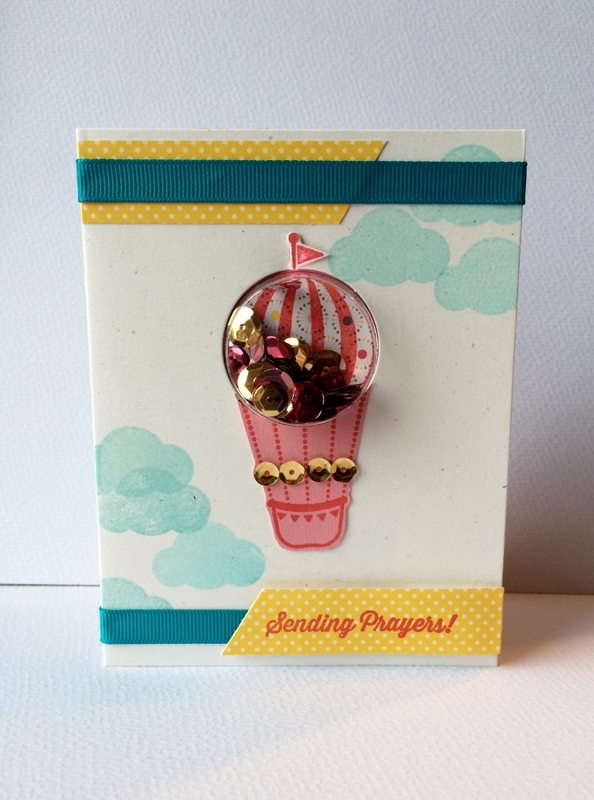 I cut out the Yellow Salt piece to match the sentiment piece and added to the card as shown. Layering the teal ribbon onto the base as well. Then I cut out the pieces I had stamped and added to the card as you see it. Next came the shaker shaped circle and I added in red, and gold sequins and attached the back piece. After that I Removed the adhesive strip to add the shaker shape to the card, attaching it to the base. To finish it off I added four gold sequins to the balloon lines. That does it, a playful card to let someone know that you are praying for them.